Actor Kamal Haasan has not faced the camera for over a year now since the accident he met with while shooting for his multi-lingual film Sabash Naidu. 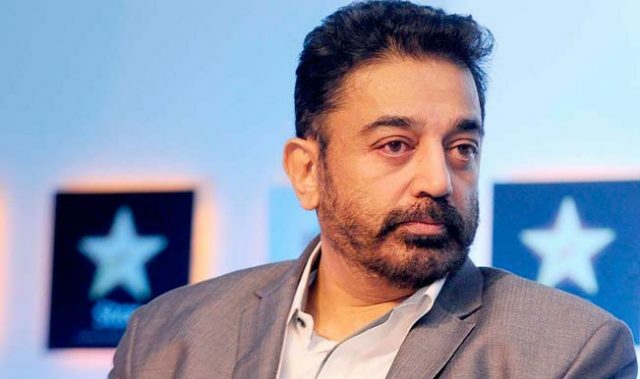 Kamal’s elder brother Chandra Haasan passed away recently and sources close to the actor say that it is a big blow to the actor. Chandra Haasan managed most of his production work and was a great support to Kamal. Kamal being the man he is, stayed string during that phase and has moved on in his life. But this incident that happened couple of days ago might pause the progress in his life. The actor had a fire accident at his residence in Chennai on Saturday night. Kamal Haasan posted on his social networking page about the incident saying, “Thanks to my staff. Escaped a fire at my house. Lungs full of smoke, I climbed down from the third floor. I am safe No one hurt . Goodnight”. The news scared his fans a bit but were glad that their idol was safe. He also wrote,” Thanks for all the love and concern. Now off to sleep. Good night indeed:)”. Kamal Haasan will begin shooting for Sabash Naidu which is planned to be shot in Tamil, Telugu and Hindi. The film also features his daughter Shruthi Haasan and Ramya Krishnan in important roles. The film is touted to be a comedy-adventure with loads of humorous episodes. The film is titled Sabash Naidu in Tamil and Telugu, and in Hindi as Sabash Kundu. The music for the film is composed by Ilaiyaraaja.